Camden Minnick is now 9 months old. RALEIGH, NC (WTVD) -- ABC11 first met the Minnick family at our Match Madness bone-marrow-registry drive earlier this year. The family was struggling to find a bone-marrow match for their newborn. We caught up with the family to find out how their 9-month-old son Camden Minnick is doing as part of our "ABC11 Together Special - Making a Difference in the Community." Luckily, Camden is among the few who found a match. His mother, Carrie Minnick said he's back in the hospital at Duke on Friday because of complications from his condition. He still faces challenges ahead, but Carrie said Camden has shown tremendous improvement. "We had never heard of HLH until he got his diagnosis," Carrie said. "And the day they diagnosed him, they also told us that he was going to pass away that weekend. "We were very lucky, out of the millions and millions on the registry, Camden only had one match. That match was very willing and responded right away," she added. HLH is a life-threatening condition where the immune system can attack a person's blood, bone marrow and organs. The condition completely took the Minnick family by surprise, changing their lives forever. "I guarantee I've walked through a mall or somewhere in public and someone said 'hey will you, do you like to be a bone marrow donor?' and I'm just like 'why,'" Camden's father, Charlie Minnick said. They urge everyone now to join that registry, and while Camden got his match, he's still facing a battle. "We were in the hospital for six months," Carrie said. "We were in and out of intensive care. He did, because of his HLH, endure a stroke which resulted in him having cortical blindness." While Camden is living at home instead of a hospital now, he has to live in sterile isolation, and a survival rate still looms over his head. He has an 83 percent chance of living past next summer. "But we just have faith that God will see Camden through and that he will make it," Carries said. "He will be part of that 83 percent." She said they have the faith because of how far they come. The family can't meet Camden's donor until one year passes from the date of the surgery, but they want him to know they think he saved the boy's life. "He had sent us a letter to just tell us," Charlie said of Camden's donor. "He'd been getting feedback that people at home were 'oh, you're a hero,' and he's a hero to us, he is." 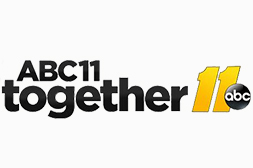 Tune in to the "ABC11 Together Special - Making a Difference in the Community," Saturday at 9:30 a.m. and Sunday at 10 a.m. and midnight for more updates on other touching ABC11 Together stories.